Explanation: In the depths of the dark clouds of dust and molecular gas known as M17, stars continue to form. 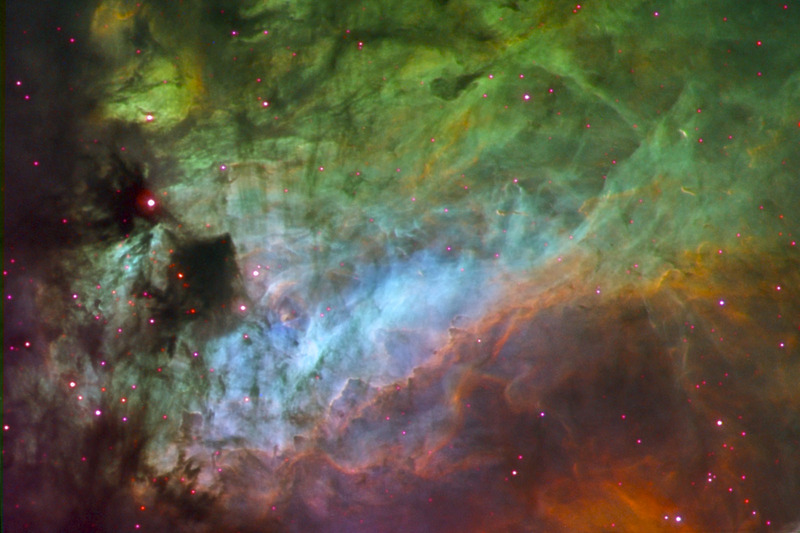 Also known as the Omega Nebula and Horseshoe Nebula, the darkness of M17's molecular clouds results from background starlight being absorbed by thick filaments of carbon-based smoke-sized dust. As bright massive stars form, they produce intense and energetic light that slowly boils away the dark shroud. 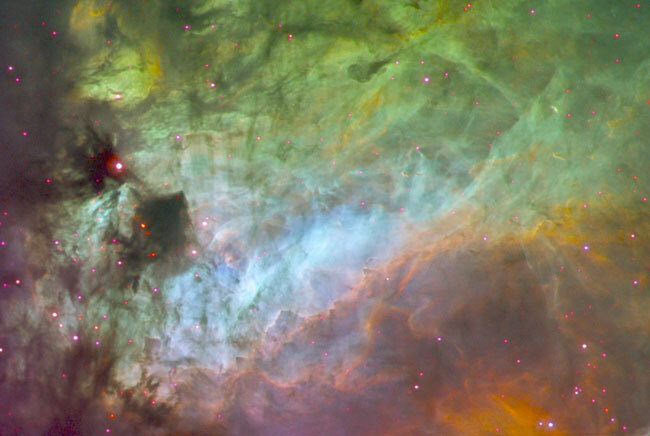 Colors in the above image were picked to highlight specific elements that emit nebular light: red indicates emission from sulfur, green from hydrogen, and blue from oxygen. The Swan Nebula is visible with binoculars towards the constellation of Sagittarius, lies 5000 light-years away, and spans 20 light-years across.